But this goal is also a moving target. Pursuing it involves a transition from software that operates on-premises to software residing in a cloud computing environment, of course, but also a migration to business tools and applications that operate both more efficiently and more universally – that operate, in short, much like the apps on mobile devices, which themselves are rapidly evolving. Thus, digital effectiveness requires more than simply picking cloud- and mobile-based applications; it requires embracing a nimble strategy that not only incorporates but goes beyond digital transformation to include the discovery and deployment of innovations that help organizations operate more intelligently. This is more easily said than done. In fact, our company asserts that by 2021, only 50 percent of organizations will have transformed their business processes to be not only more automated but more intelligent. Consider: Has your organization begun to look at providing customer interactions as conversational experiences like those available on Alexa, Cortana and Siri? Or new communication mediums that can simplify the interactions of both your employees and customers with your applications? Most importantly, have you embedded intelligence into your applications to support the interactions? 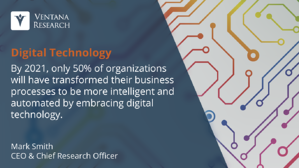 There are a number of critical digital technology innovations that your organization should consider as part of any new investments to ensure that you are gaining ground in the seismic shifts in computing. Organizations that don’t do so risk missing out on opportunities and being left behind by competitors. Artificial intelligence (AI) and machine learning (ML) have of late become a major focus of business technology marketing. AI and ML are computing technologies designed to process information in much the way humans do but with greater accuracy and precision to support making better decisions and taking optimal actions. However, effectively integrating AI and ML into an organization requires focusing on a data and analytic foundation that can sustain the computational and algorithmic processing that’s involved. While most of the uses we see from business application providers of AI and ML are centered on prioritizing recommended actions, AI’s true potential is yet to be realized. AI and ML should help guide and provide information and education to improve an organization’s business processes, enabling more autonomous digital operations where possible. Furthermore, the technologies themselves are changing, with for example the introduction of natural language processing capabilities that present information and process interactions with underlying applications in normal language, easing the challenge of machine-originated conversation and engagement with the workforce and even customers. There will inevitably be missteps on the road to seamless use of these technologies. 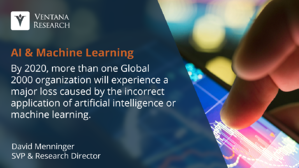 We believe that by 2020 more than one global 2000 organization will experience a major loss caused by the incorrect application of artificial intelligence or machine learning. To ensure that that doesn’t occur in your organization, we urge organizations now to take a hard look at all aspects of products incorporating AI and educate their decision-makers to ensure appropriate prioritization, due diligence and focus on value. Analytics technology continues to be a critical digital innovation but unfortunately many organizations have lacked the business and technological skills to make analytics actionable, let alone easy to understand. Technology vendors’ fixation on sophisticated visualization as a core feature has come with costs, as the iterative discovery process offered in current analytics tools does not deliver the simplicity needed; many current offerings lack the personalization, presentation and collaboration capabilities that are needed to effectively notify and engage workers to act. In our view, advancing the business functionality of this technology will require the displacement of current providers by new ones that move beyond merely presenting dashboards of charts. That’s not to deny the role of visual discovery, but typically only a small fraction of people in the organization fully understand it as the literacy required is not standard across lines of business. Users should not have to educate themselves; rather, the analytics should be presented in a natural language or other accessible form. By 2021, two-thirds of analytics processes will no longer simply discuss what happened and why; instead, they will also prescribe what should be done. Technology vendors are now beginning to embed and use natural language and collaboration capabilities in their tools to help organizations mobilize a larger part of the workforce more intelligently, inspiring them to take action instead of just observe. Blockchain technology, which ensures the secure interconnection of systems and data, is an essential part of the state of frictionless computing (where systems are interconnected and securely operate without human intervention) that organizations need to reach to be effective in the coming decade. As organizations look to be more efficient in their business processes, all integration across organizational boundaries must be automated in a way that has not been possible in the past. And of course, data must be secure. Organizations will not be able to survive competitively or efficiently merely transmitting data across the network and internet; they will need to manage it in a manner that can assure far less risk and far fewer human errors than we have seen in the past several years. Distributed database computing has evolved over the last decade to the point it is now a requirement in this age of real-time and interconnected business. 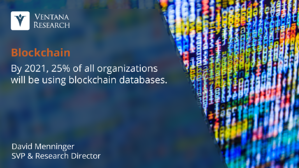 By 2021, one-quarter of organizations will be using blockchain databases and those that do not will find themselves becoming increasingly inefficient and at risk of security breaches or human errors. In 2018, database companies’ technological advancements are helping enable this next generation of computing and should be part of what organizations examine to advance the interoperability of businesses with their partners and customers. Collaboration for business to enable workers to interact and communicate efficiently and effectively has long been on the list of organizations’ productivity improvements. In recent years, however, it has become a higher-priority component of business applications to improve education and the quality of decision-making. Providing the workforce with a supportive environment for collaboration is essential. Collaboration is particularly important in making analytics actionable and we assert that by 2020, collaboration will become a standard feature of three-quarters of data and analytics processes in much the same way that visualization is now part of analytic processes. Overall, contextualized collaboration within business applications and tools can help expedite task completion. In addition, collaboration should also support companies’ regular, ongoing tasks, activities and projects. Organizations that today don’t facilitate collaboration within and across business processes and applications will find themselves growing increasingly inefficient both internally and externally. Cybersecurity has become an essential digital innovation over the last several years; it adds a layer to the broad security issues across technology that have challenged organizations for decades. Today it is essential that organizations both ensure minimal risk in every business process and protect intellectual assets. While many organizations have relegated this responsibility to a security team or a specific role such as the chief information security officer (CISO), the reality is that every functional area of a business has a responsibility to ensure that it protects all of its assets, technologies and processes. The issue is not just the hacker who finds a way through the network or a phishing incident that passes hidden control of a computer to an outside authority. Spreadsheets or standalone tools that aren’t governed by security protocols can pose huge risks. This obligation to protect data is even larger now that the European Union has introduced the General Data Protection Regulation (GDPR), set to take effect in May 2018. GDPR demands that companies make reasonable efforts to secure customers’ personal information from being exposed to parties who do not have the authority to access or process it. This regulation applies to all EU citizens no matter where they live or visit as well as U.S. citizens operating in the EU; it is a stark reminder that the processes and systems any business uses around the world need to be managed appropriately. 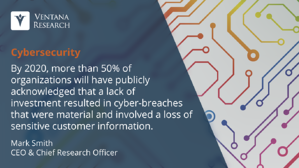 In our view, by 2020 more than half of organizations will have publicly acknowledged that a lack of investment resulted in cyber-breaches that were material and involved a loss of sensitive customer information. We need only look at recent massive incidents at Equifax and Facebook – where tens of millions of consumers’ personal information was stolen or used without permission – to see how critical this issue has become. No matter the sophistication of the organization, breaches can occur that can impact the financial status and brand reputation of an organization. In 2018, businesses need to understand their responsibilities where the privacy and security of data is concerned. Furthermore, they would do well to view regulations such as GDPR as a means to improve the governance and operations of the data they utilize and for which they are held responsible. Data is part of every business process and at the heart of finding value in your analytics and efficiency in your applications; it is also the foundation for any worthwhile AI and ML effort. Organizations should cut through the marketing hype on investing in data and skilled workers by examining innovative investments. The right choice can make possible the efficient management of data, including its security and storage, in a cost- and resource-effective manner. Focusing more closely on data, addressing its preparation, governance and quality, are essential for it to yield full value. This requires that data and derived information assets be managed much like physical libraries of the past, with catalogs and librarians responsible for maintenance, enrichment and even proper utilization. This type of approach balances technology with methodical management processes, particularly where business applications operate across on-premises and cloud-computing environments. It is also important that the elements of data are easily interconnected in real time. Messaging-as-a-service (MaaS) methods facilitate efficient processing and alongside the Internet of Things (IoT) the integration of data through synchronization and migration of data among digital technology investments. By 2021, more than half of organizations will be using distributed cloud-based databases. Today, organizations should be establishing or improving their focus on the proper management and utilization of data. Internet of Things is impacting the nature of the digital technologies that are shaping the way people live and do business today. Enabling a physical asset to provide real-time data can help guide not the just the operations of that asset but also how it can best be utilized and when it will need to be serviced. We see this all around us today, from cars to the devices in our home, from TVs to mobile tracking devices that are associated with machinery such as lights and elevators and technology that detects the movement of people within a room. Also, advances in wearable computing are instances of IoT that can track location and status. Using IoT, a significant volume of information can be streamed, processed and stored, acted on or discarded, which will require us to rethink the nature of real-time information across the internet and discover the edge where “things” operate. By 2020, we believe, analysis of streams of IoT event data will be a standard component of nearly all big data deployments. Given that, what’s most important in 2018 is to assess how your organization uses the real-time information IoT provides to advance the digital effectiveness of its products and interactions with your customers, employees and systems. Natural Language Processing (NLP) and the bots that incorporate it are a critical innovation that is altering humans’ interactions with devices and the underlying connected systems and applications. NLP enables a conversational experience for people, whether through voice or chat, that can streamline access to information. This represents a critical step in shifting from keyboard-and-mouse-based interactions to ones that are more natural for human beings. NLP is also important for its potential to enable us to better understand the status of systems or situations that need to be addressed. Many bots currently in use rely on NLP technology to enable a more conversational approach, making possible more efficient interactions and a clearer understanding of outcomes. 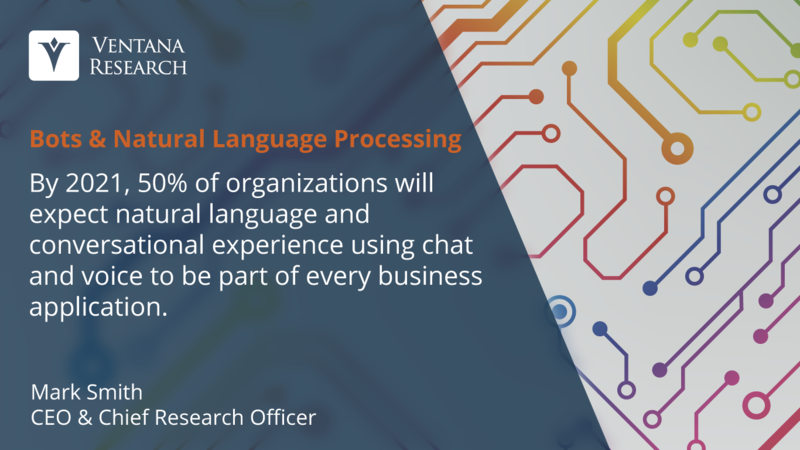 Our assertion is that by 2021, half of organizations will expect natural language and conversational experiences to be part of every business application. In 2018, any evaluation of business applications and digital technology should include NLP to ensure the processing and conversational experience is on the vendors’ roadmap by 2020. In summary, all of these opportunities to apply digital innovation require organizations to change their thinking and priorities on what deserves assessment and investment. Transforming business with digital technology should deliver value that is visible to the business. I have seen organizations undertake two- to three-year projects that lock up resources and budgets that consume the majority of the business cycles. For most organizations, this happens because of the lack of a well-defined and balanced strategy. For a transition plan to work, the projects and activities must be managed in a way that focuses on work and resource management. Enabling digital innovation requires managing a portfolio of projects so that the alignment of the value they deliver helps advance the business’s competitiveness and its ability to achieve required outcomes. Organizations should examine digital technologies that enrich employee and customer experiences, not just those that increase the efficiency of business processes. They must optimize data, information and analytics for use in machine learning and AI to have the precise guidance and recommendations that the latest technology vendor innovations promise. Building an effective business case that prioritizes benefits and time to value is not difficult if all aspects of proposed projects are properly assessed and examined. 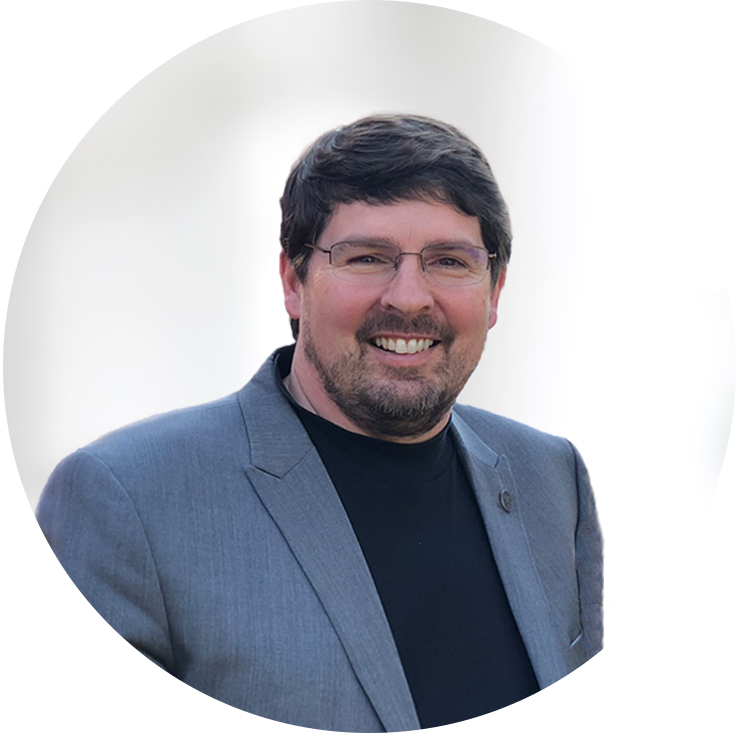 If you want to learn more on this essential topic of moving beyond digital transformation and monetizing digital innovation in 2018 for business, check out my on-demand webinar that provides further discussion on the topic.